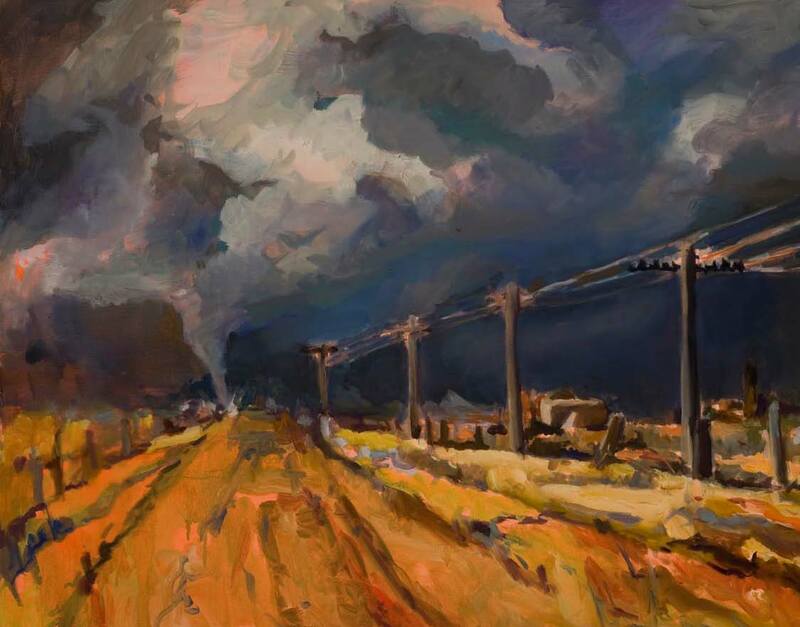 Lynn Rushton’s ‘Storm Brewing’ is part of the upcoming exhibit ‘Forces of Nature’ to open at Coastal Bend College’s Simon Michael Art Gallery on Jan. 19. “Forces of Nature,” a gallery show by Lynn Rushton will open at Simon Michael Art Gallery in Beeville on Jan. 19, 10:30 a.m. to noon with a reception, followed by a gallery talk at 1:30 p.m. The Simon Michael Art Gallery is located in the Coastal Bend College Frank Jostes Visual Arts Building. Rushton, a Texas native, is a graduate of Tulane University in New Orleans and Vanderbilt University in Nashville. She studied sculpting under Luis Sanchez Valderama; watercolor under Rob Erdle of the University of North Texas; and portraiture under Joy Thomas. Rushton’s work has been exhibited in galleries and museums in Texas, Louisiana and Mexico. She is represented at galleries across Central Texas. This is her first gallery show at Coastal Bend College. The show closes on Feb. 17. For information, contact Jayne Duryea at duryeaj@coastalbend.edu or (361) 354-2322.